New construction garage. 24x28. Living space-loft above. I'd like a quote and options to have it insulated before winter sets in. Thank you. We provide a comprehensive audit of your Grand Marais home and then walk through with you to show exactly what we found. After our audit you will have a prioritized list of home energy tasks to improve the comfort of your home. This shows the crawlspace in the cabin before DBS installed the CleanSpace product for drainage and new insulation. This is a picture of the cabin that DBS supplied with Insulation and Drainage Services. Replaced Crawlspace Insulation in Grand Marais, MN. A duplex in Grand Marais, MN reached out to Dr. Energy Saver Solutions that needed their crawlspace insulated. The families in the duplex both knew in the fall they needed to draw attention towards this insulation because of ice dams on their roof. They were looking to solve these problems, also making their home more cost efficient in utilities. They wanted their crawlspace to be more easily accesible and insulated. We sent a design specialist, Steve Stern, to the house for an easy, straight-forward fix. By adding our energy efficient insulation to the crawlspace, we could solve their problem. The insulation will help to lower the utiliies, while removing board foam and fiberglass that was battling air seal. 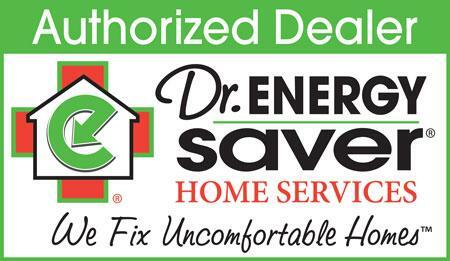 Dr. Energy Saver Solutions is happy to provide safe, efficient insulation and services to help families improve their homes.